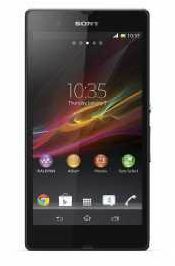 Dubbed as Sony Xperia Z LTE, This newest andorid phone from Xperia line Clocks at 1.5ghz with its Quad-core processor. Xperia Z is also known as Xperia C6602, Xperia CC603 and Sony Xperia Z HSPA+, this smartphone like other Xperia Model is water resistant. Its display a 5.0 inches TFT capacitive touchscreen with a multi touch capacity of 10 fingers is shatter proof and scratch resistant. This 4G android from Sony pack alot power on it's built-in battery carrying a 2,330mAh that could go on for long hours. Like iPhone this model supports a Micro SIm. the inernal memory of this phone is quite good with a 2GB RAM and 16GB of internal memory. The Xperia HSPA+ comes in different colors Black, White and Purple. Here is the full specs of this new android phone Sony Xperia Z.